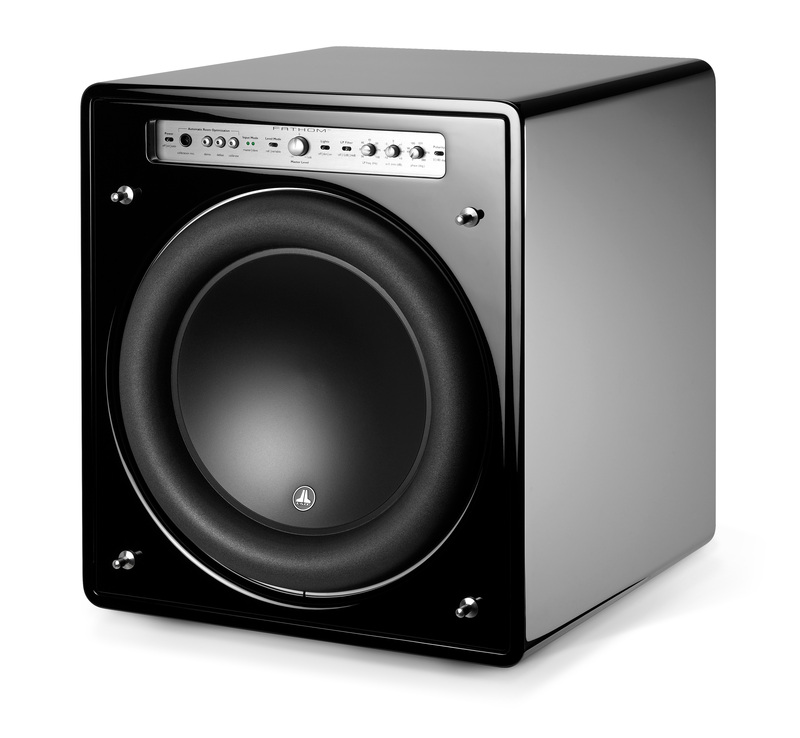 The lucky few who have heard a well-integrated subwoofer in a great audio system know that the subwoofer’s effect is profound.While everyone expects the bass extension to improve, most are shocked at the transformation that occurs in the main speakers. 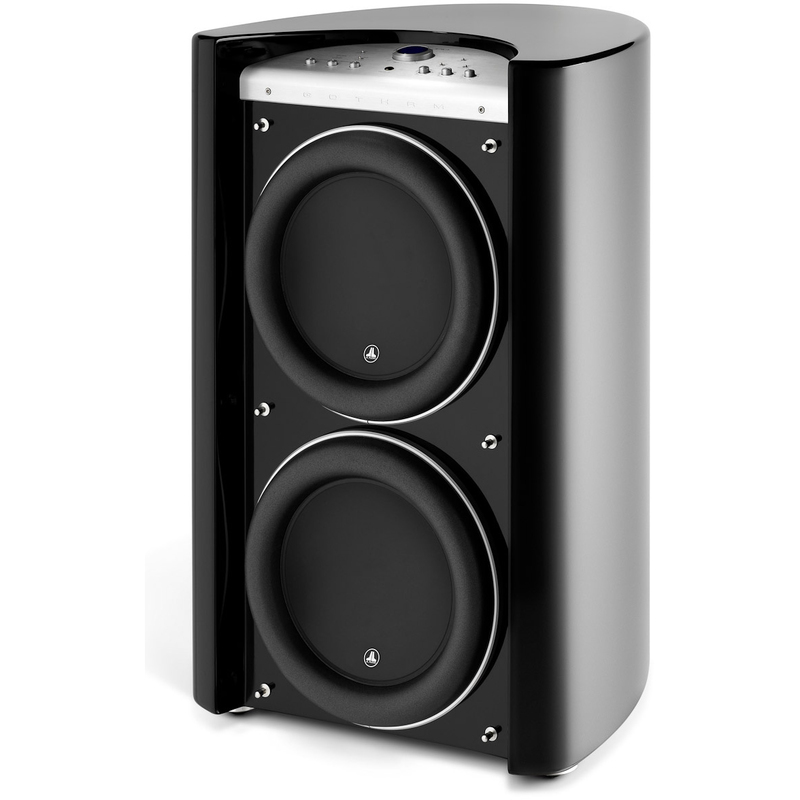 They simply open up, delivering improved dynamics, superior imaging and more low-level detail. 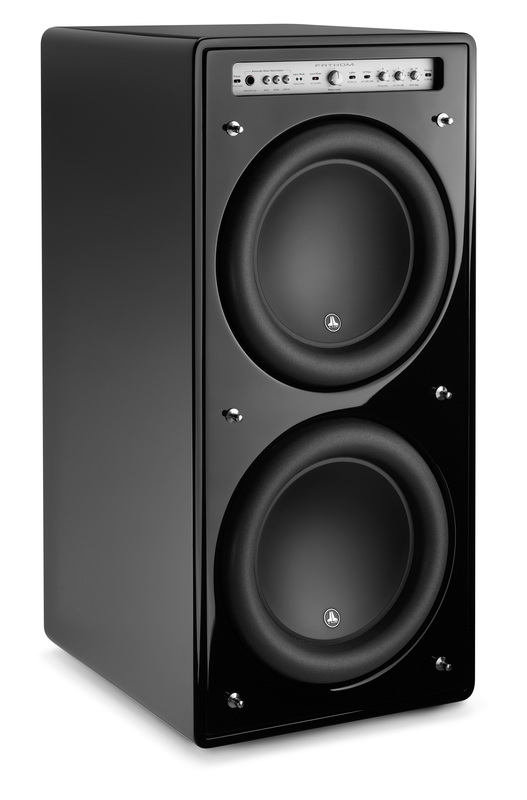 Many describe it as the greatest speaker upgrade they have ever made. 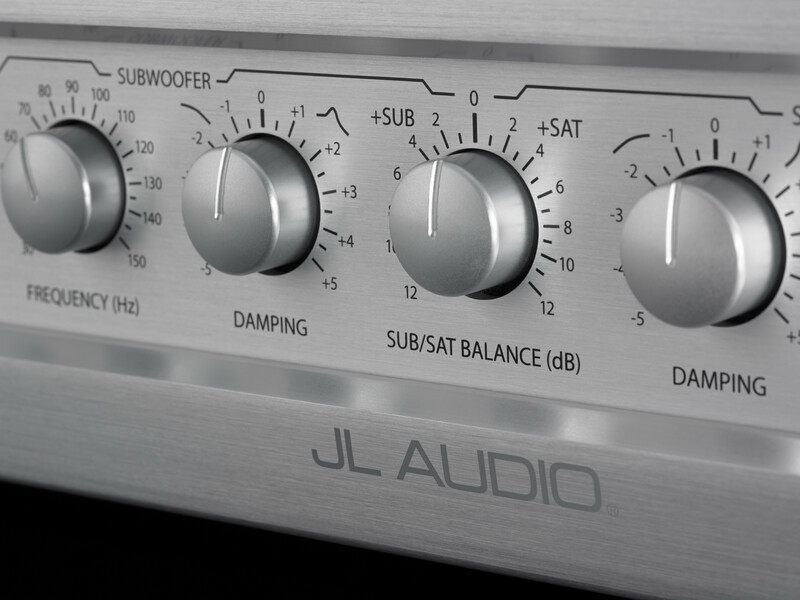 Over the years, JL Audio have calibrated many subwoofer systems in highly critical listening environments, and they have been frustrated by the limitations of active crossovers they have worked with. Tired of struggling with “blunt instruments”, JL felt that a higher precision tool was needed, so decided to build it and call it “CR-1”. 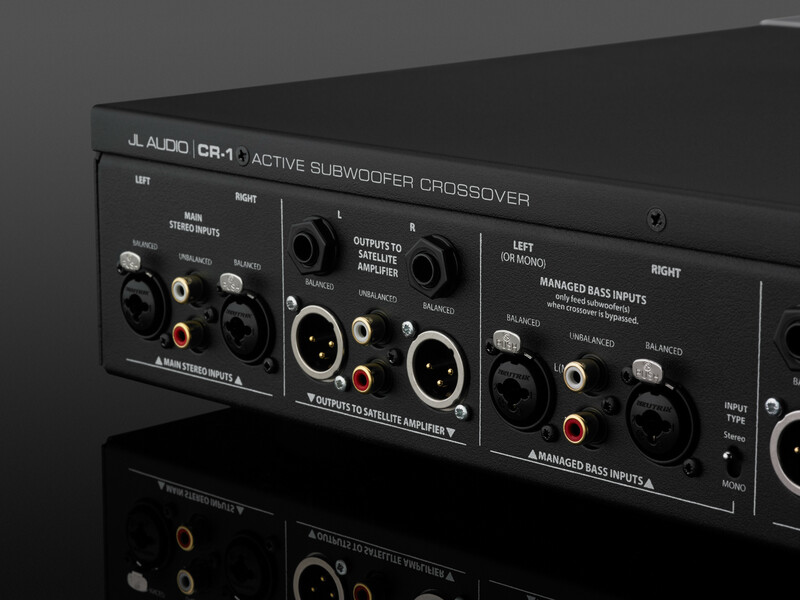 When properly set up, CR-1 creates a listening experience in which the subwoofers and main speakers become one, delivering a cohesive and compelling sonic presentation.The CR-1 Active Subwoofer Crossover has been designed by audiophiles, for audiophiles. 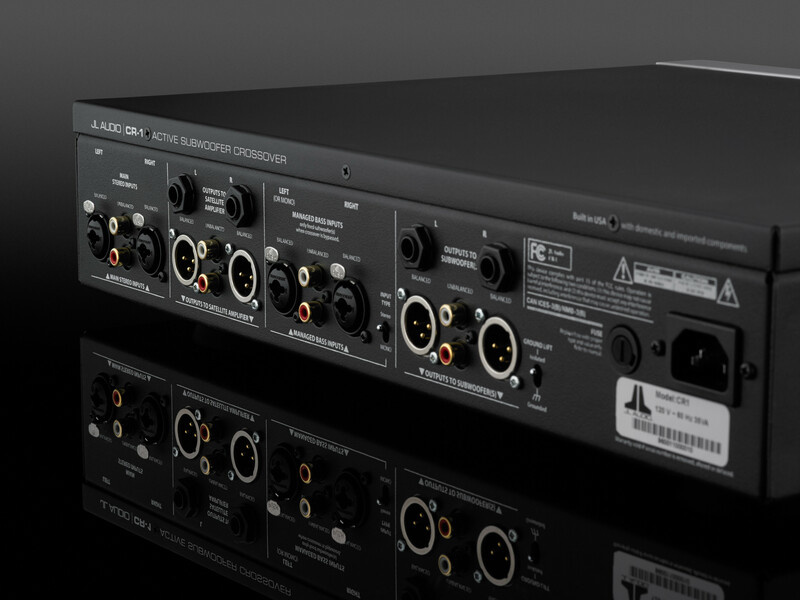 We believe it has no equal, offering a powerful combination of subwoofer/satellite tuning features, and a complete commitment to analog signal purity. 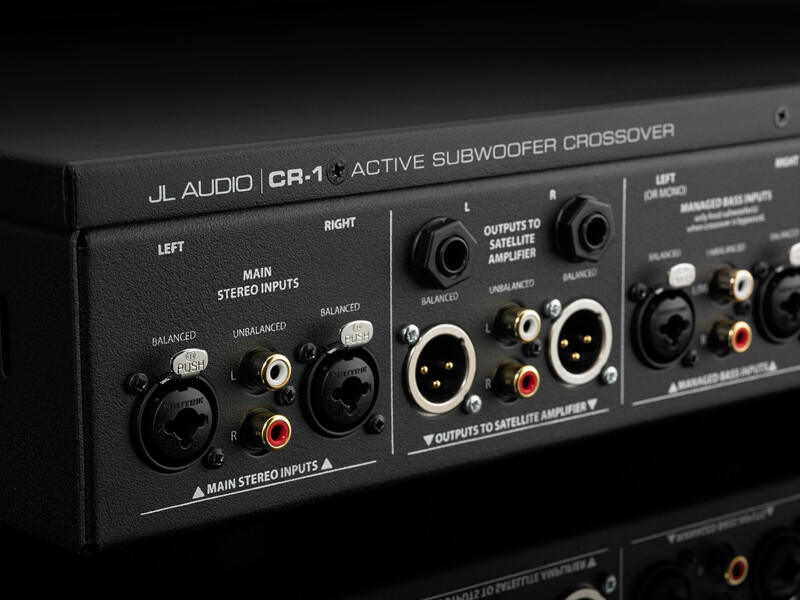 CR-1 is built around two banks of precision Linkwitz-Riley low-pass and high-pass flters. 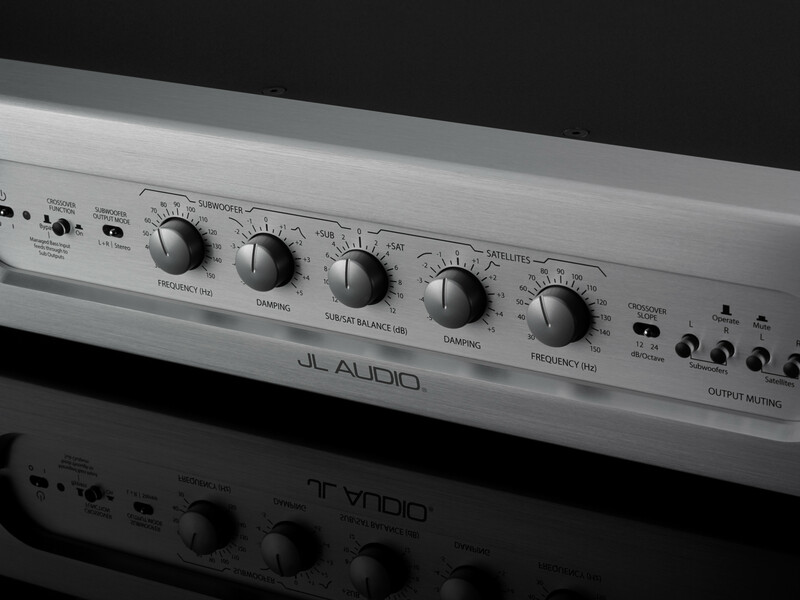 Multiplying DACs with monolithic ratio matching are employed to adjust the analog circuit’s flter frequencies. This offers superior tracking behavior and far more precise left/right channel balance, compared to conventional approaches. Another of CR-1’s unique and powerful features is a pair of rotary controls that control the damping of each flter bank. 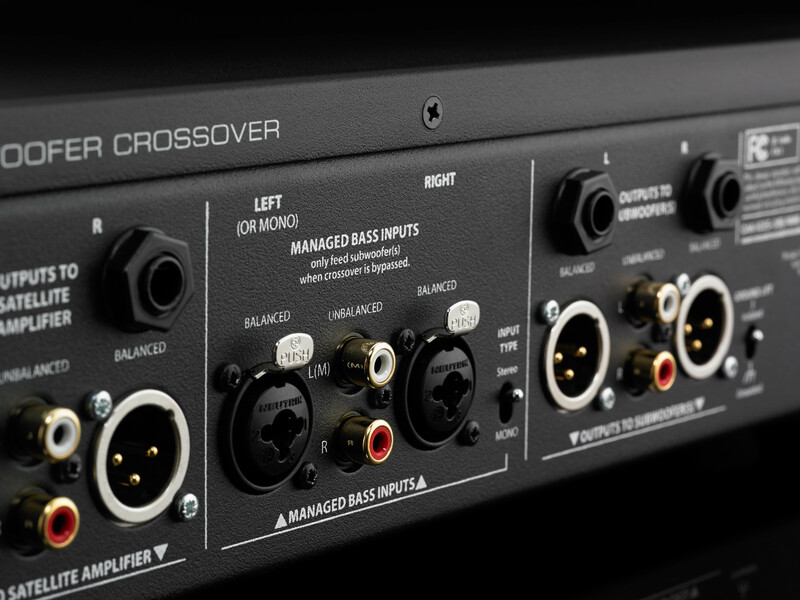 These damping controls dramatically improve the acoustic summing through the crossover region, by compensating for each speaker system’s frequency response. 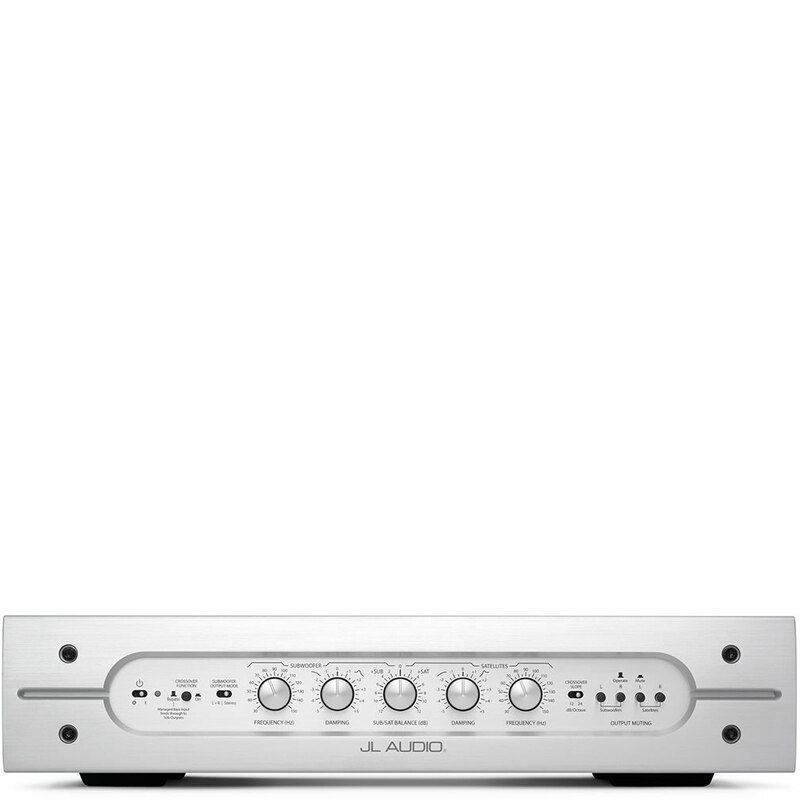 At the centre of the front panel, a single intuitive, rotary control permits quick adjustment of the relative level between the subwoofer(s) and main speakers. 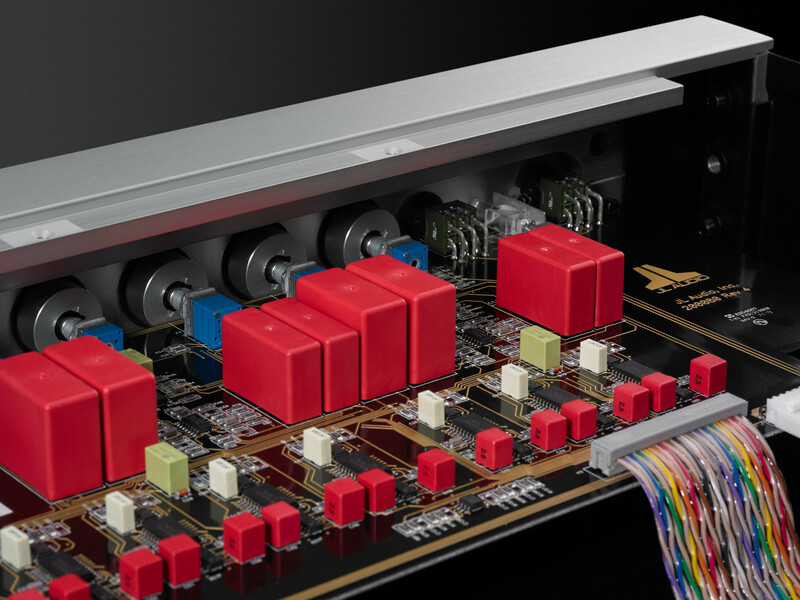 To minimize distortion and noise, CR-1 employs top-grade component parts in its all-analog audio circuitry: 1% precision resistors, JFET-input audio-grade op-amps, polypropylene film-and-foil capacitors and metallized-polypropylene film capacitors, to name just a few. 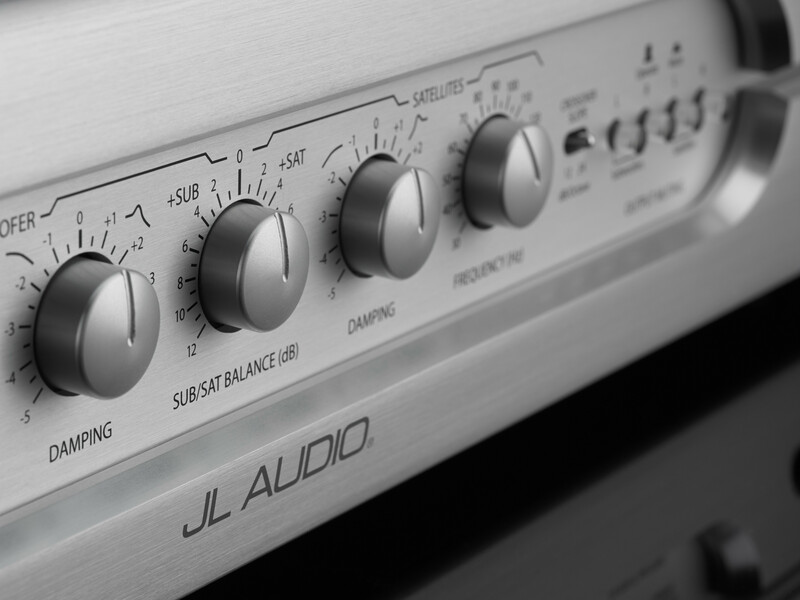 JL also build CR-1 in the U.S.A., to ensure top quality and dependability. 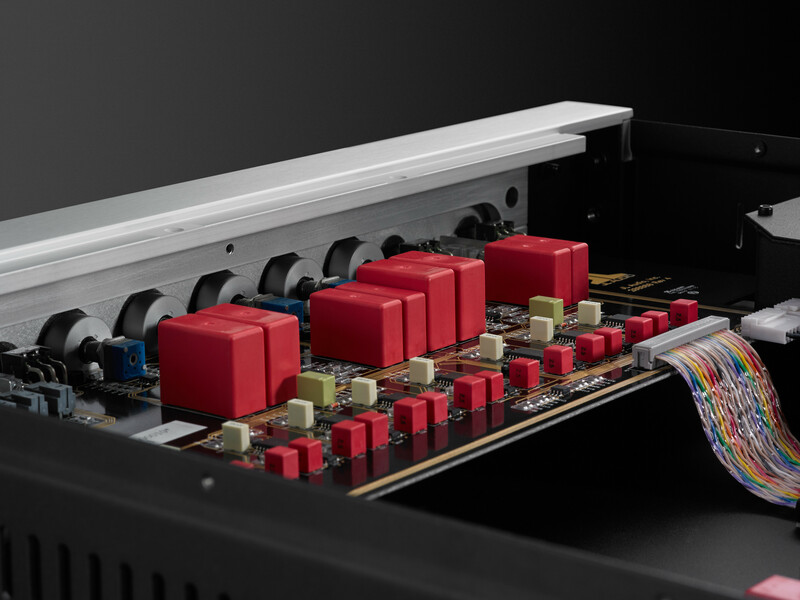 CR-1’s input-output design makes it equally adaptable to studio, mastering suite or audiophile two-channel playback environments. 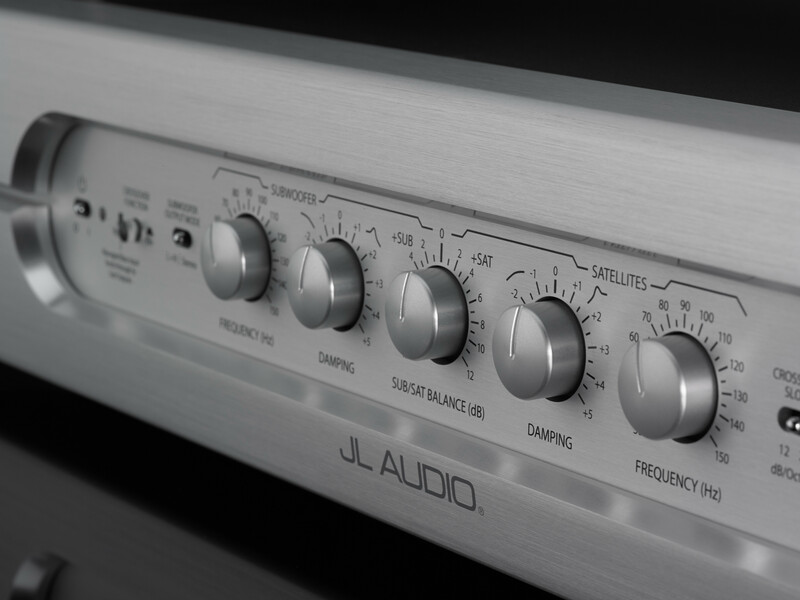 To accommodate dual-mode systems, jl also include a bypass feature that engages a pass-through from a dedicated “Managed Bass Input” on the rear panel, to the CR-1’s subwoofer outputs. 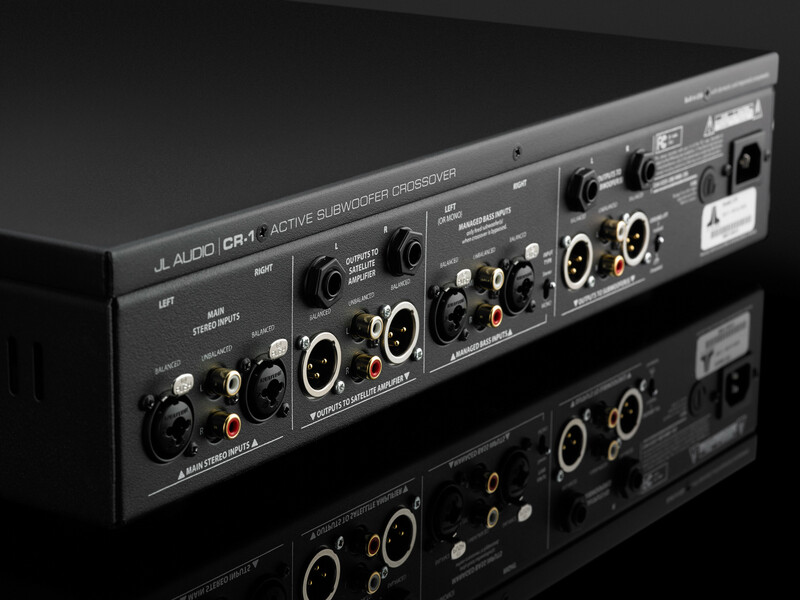 This makes it convenient to switch from two-channel to multi-channel mode.